Our range incorporates Welding Machine like Arc Welding Machine, Spot Welding Machine, Seam Welding, Mig Welding Machine, Argon Welding, Tig Welding Machine, Electric Welding, Co2 Welding Machine, Welding Rectifier, Electric Arc Welding, Inverter Welding Machine, Portable Welding Machine and Plasma Cutting Machine. 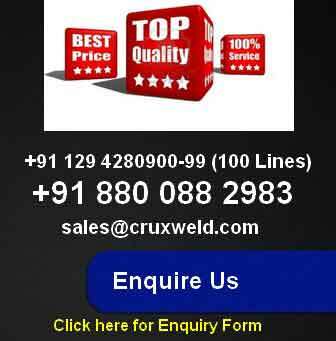 These Welding Machines and Cutting Machines are designed and developed by using latest technology and compliance with ISO & other related standards. Our Welding Equipments are durable and specifically equipped for heavy duty work, and highly required among heavy engineering industry, automotive industry, shipbuilding industry, different defence sectors, oil & gas company.